Meditation is the most time-honored tool for stilling the mind and facilitating multi-dimensional balance and transformation. Yet in today’s busy, noisy, high-tech world it can be very difficult to reach a state of stillness. 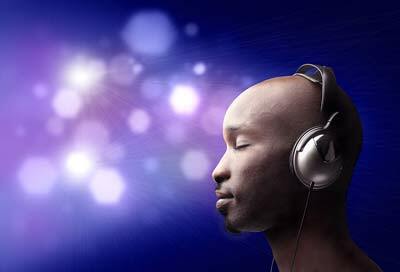 Master Charles Cannon’s system of High-Tech Meditation utilizes Synchronicity sonic technology (Holodynamics), which gives you the opportunity for a consistent and precise meditative experience every time you meditate. High-Tech Meditation works with all four brainwave frequencies — Beta, Alpha, Theta and Delta — each of which correlates with specific states of consciousness. There are a number of documented cases based on groups of meditators using classical methods of meditation. A study of the Dalai Lama’s attendants (roughly twenty monks), was conducted during the early seventies. More recently, Tomio Hirai reported on a study of forty Zen monks in the book Zen Meditation and Psychotherapy. These studies represent the very best results that can be expected from classical meditative disciplines, as these individuals were totally immersed in the contemplative lifestyle. Even residents at the Synchronicity Sanctuary do not have the fully structured, meditative lifestyle of cloistered monks. Further, most participants in the Synchronicity Recognitions Program live everyday lives in cities, work normal jobs, and raise families … not at all what one would define as a contemplative lifestyle. Moderately experienced meditators (ten to twenty years experience) produced low frequency alpha (7 to 9 Hz.). Very experienced meditators (twenty to forty years experience) consistently produced theta frequencies in the 5 to 6 Hz. Range. An interesting aside is that the experimenters made no mention of Delta (0.5 to 3.5 Hz. ), long considered to be the most notable sign of an expanded state typical of enlightening beings. With even more experience, Recognitions meditators experienced more Theta and developed Delta. Right left symmetry improved, reflecting the bliss as well as the “clearing” often experienced by meditators, a measure of the equilibration experienced at the time of the measurement. Master Charles’ work is on the cutting edge…these soundtracks allow people to quickly experience the benefits of long-term meditation. Master Charles’ Synchronicity Contemporary Meditation Soundtracks combine science with the ancient art of meditation…I found them to have an immediate effect, both calming and expanding, from the very first moment of hearing them…of all the meditation soundtracks I have listened to over the last few years, I have never experienced any that delivered this particular noticeable effect so quickly. Infographic authored by Synchronicity Foundation for Modern Spirituality. To view the original post, Free Infographic: Traditional vs. Modern Meditation.